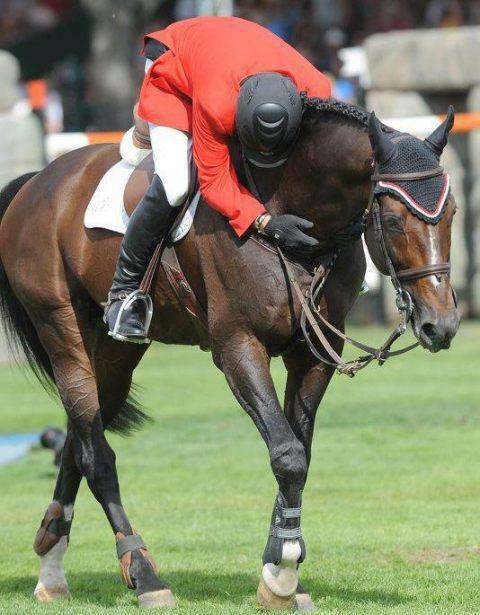 He Was Banned From The Olympics Until An Amazing Horse Changed His Life….And They Won GOLD! In the equestrian world there are a lot of blood, sweat and tears that are shed to get to where we are or want to be. This truly goes for Eric Lamaze who is now a member of the Canadian Equestrian Team and a man that would dominate the Beijing Olympics in 2008 and would be the first North American rider to win over one million dollars. But, it did not come without rough patches. Lamaze had a hard up bringing during his teenage years he used drugs, particularly during the time his mother was jailed for drug trafficking charges. 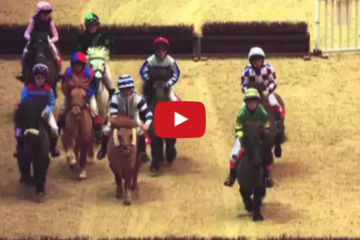 He turned his life around and focused on horses and his goals. He was drug free for ten years until, he tested positive for cocaine right before the 1996 Atlanta Olympic Games. His four year suspension was lowered to only 7 months because he had taken the cocaine on personal time and had not used it for performance enhancement. This was not the only time Lamaze tested positive for illegal substances. In 2000 he tested positive for items found in cold medicine and diet pills that are on the list of banned substances. He was banned for life from the Olympic Games. He would also later be randomly drug tested during his suspension and test positive for cocaine. With the help of his lawyer they were able to get the lifetime ban lifted due to the fact that the substances were not labeled correctly on the product he had taken and the cocaine was during his lifetime ban which made it irrelevant to his charges. In an interview on Sept. 20th, 2000 Lamaze states “It is very difficult to tell my story. While I have had a very difficult past I make no excuses, I am responsible for my own actions.” “I wish to apologize to all Canadians for the embarrassment and controversy that I have brought about. I promise that I will make it up to you so that I can proudly represent my country again as an equestrian rider.” Later in an interview he wanted to set things straight. “I want the public record set straight. I am not a drug addict, I do not have a drug problem. I have no craving for drugs. Cocaine is not a part of my life. It is not a part of lifestyle and I do not associate with people who use drugs” He was never unpleasant during his time of suspension, even hoped that Jonathan Asselin would be able to take his place, even stating he would be a great asset to the Canadian Team. He took the next 7 years rebuilding his career and his stained reputation. He focused on horse trading and training, all while building his farm in Schomberg, Ontario, Torrey Pines Stables. During this time he was taking an unruly, hard to ride stallion and building an unforgettable bond with him, a horse that would later sky rocket his career. This partnership would be something no one would ever forget and every equestrian would strive to have. This horse was known as Hickstead. Lamaze over came hardships in his life but it did not stop him from making an amazing career for himself. He had won the Spruce Meadows $1 Million CN International in 2007, the Spruce Meadows $200,000 Queen Elizabeth II Cup a record four times. He would also come back in 2011 and win the Spruce Meadows $1 Million CN International for a second time. These are just a few of the major accomplishments that Eric Lamaze and Hickstead would conquer together. So don’t let your past determine your future. Written By Jona Lane. 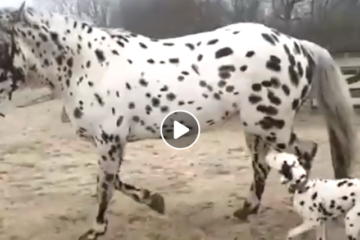 Share this on Facebook if horses have changed your life for the better! 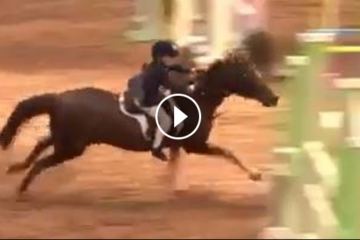 This Fearless Little Girl And Her Pony Are AWESOME! Wonderful article. It shows his struggles without focusing on them and allows the ready to see the accomplishments for the value that they have.